"The simple statement "Let's build a school in West Texas," led to the founding of this "distinctively Christian" university that boasts a commitment to "teaching and learning." There is a low 16:1 student/faculty ratio, and professors teach nearly every class." Describe the type of student who should not attend Abilene Christian University and explain why. Generally, if you're not Christian, maybe think twice about ACU. There is a lot of required religion, and I know people who aren't Christian who hate it here. Describe the type of student who should attend Abilene Christian University. Why? What is a typical Abilene Christian University student like? Describe the type of person that should attend Abilene Christian University. What are the top 3 reasons someone should attend Abilene Christian University? It is an institution where your Christian faith is challenged and strengthened. The professors and faculty truly care about each student. There are so many great programs that prepare students for a wide variety of professions. What was a typical Abilene Christian University student like in high school? Describe the type of person that should attend Abilene Christian University. meaningful service to society, the academic disciplines, the university, and the church, expressed in various ways, by all segments of the Abilene Christian University community. What are the top 3 things that students do for fun at Abilene Christian University? 24% of male students live in fraternities. The average student pays $25,143 for tuition, fees, and other expenses, after grants and scholarships. Total stated tuition is $28,350, in-state and on-campus, before financial aid. Learn more about financial aid at http://www.acu.edu/campusoffices/sfs/index.html. Estimate the net price for you at http://www.acu.edu/campusoffices/sfs/calculator/freshmen.html. The typical (median) early career salary of Abilene Christian University graduates is $43,500, according to Payscale. Abilene Christian University participates in the NCAA Division II for college athletics. 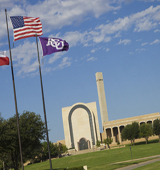 Want more info about Abilene Christian University? Get free advice from education experts and Noodle community members. What are football games at Abilene Christian University like?